Microsoft Publisher is an entry-level desktop publishing tool, which focuses on page layout and design rather than text composition and proofing. The process of converting PDF files to Publisher file formats can be a challenge when you don't have the right tools. Sometimes you can't retain the quality during conversion, or some programs can be very difficult to use. 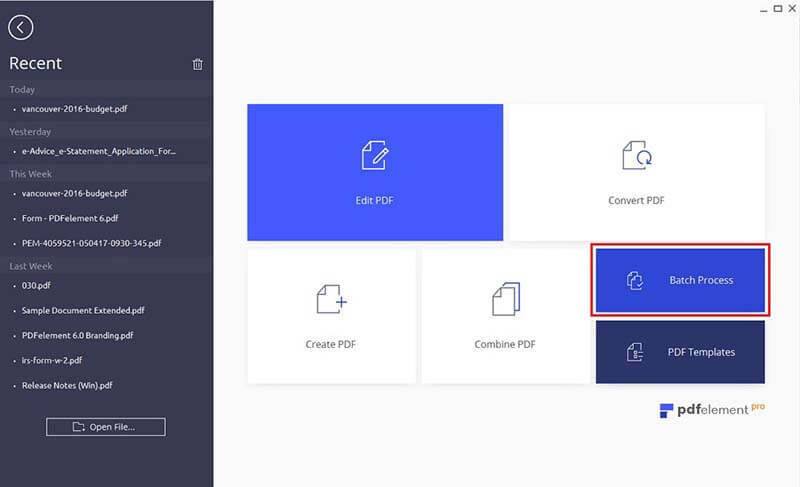 In this article, we'll let you know how to convert PDF to Publisher compatible formats quickly and easily using PDFelement. PDFelement allows you to convert PDF files to Microsoft Publisher compatible image formats, as well as many other different formats. It can perform multiple conversions in batches without affecting the quality of the output. PDFelement is packed with professional tools to help you edit, combine and transform your PDF documents without hassle. You can easily change text and images, or perform page modifications within your PDF file. With built-in OCR, PDFelement can detect different text, images, and layouts from your scanned PDFs with high precision, enabling you edit the content with ease. One of the unique features of PDFelement is the ability to automatically highlight fillable fields within PDF forms. You can also create personalized forms with different options such as text fields, buttons, and drop-down lists. Once PDFelement is installed on your computer, open up the PDFs you want to convert in the program. 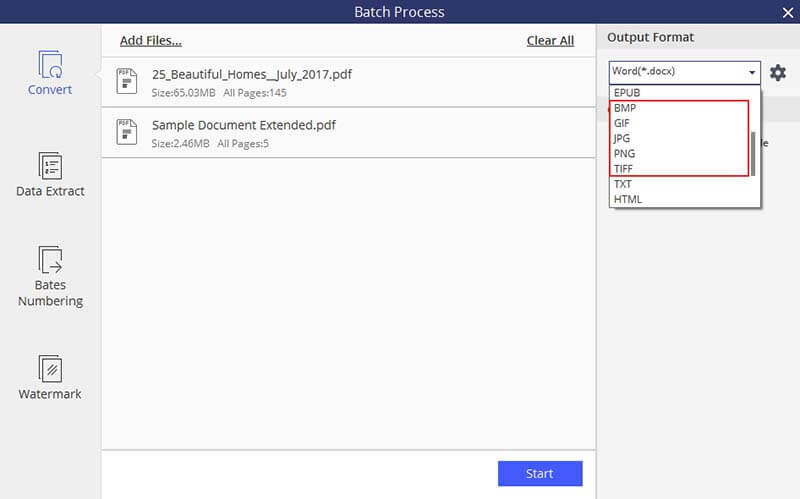 Choose the "Batch Process" box when you want to convert multiple PDF files in a batch. You can then import PDF files by clicking the "Add Files" button. Now move to the top right corner and select a Microsoft Publisher compatible format, such as BMP, JPG or TIF. If necessary, specify the page range you want to convert and the destination folder for the converted files. Once everything is completed, select "Start" and the process will start immediately. Microsoft Publisher supports several graphic file formats such as bitmap and vector formats.